Dr. Cooke is a mindful orthopedic surgeon and sports medicine specialist proudly serving the community of Hartland, MI. He practices at Detroit Medical Center Sports Medicine. He earned his medical degree from Wayne State University, where he also completed his residency in orthopedic surgery. He further went on to complete his fellowship in orthopedic sports medicine at Kerlan-Jobe Orthopaedic Clinic. 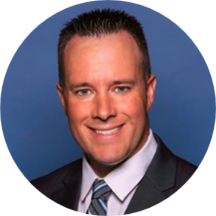 Dr. Cooke is a member of many leading professional societies, including the American Academy of Orthopaedic Surgeons, the Arthroscopy Association of North America, and the Michigan Orthopaedic Society. Dr. Cooke believes in preventive health care and treats patients in a structured manner, focusing not just on the ailment but also on the general well-being of the patient. He believes in delivering quality care that focuses on patient comfort and seamless recovery. Dr. Cooke was honored by being named Chief Resident and winning a variety of resident research awards.